Taking pictures is a great excuse to explore your surroundings, even if it's a place you've lived all your life. In the case of David Mandl, that place is Brooklyn, the nooks and crannies of which he has been documenting for his many years as a local. Written up recently in Places Journal, Mandl's project END is a study of dead-end streets in New York's second most populated borough. 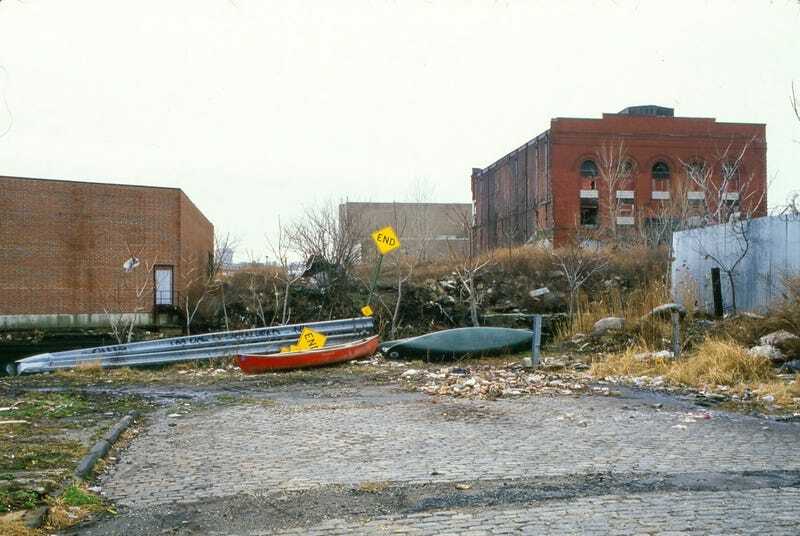 Each image presents an un-romanticized perspective of a location most often cited for its trendy restaurants and sky-high rents. Most of the scenes that make up END are barely recognizable as part of the same region. The only thing tying together the series is the lonely presence of a tiny yellow END sign planted somewhere in the recesses of shrubs, dumpsters, and chain-link fences. The irony of Mandl's dead-end cataloging efforts is that these are locations with virtually no value for anyone other than the few residents who happen to live on that particular block. They aren't ways to another part of town or landmarks worth visiting. Yet, as photographs, it is their geographic insignificance that makes them so interesting. END is made up of over 120 images, most of which have never been shown. Mandl is searching for the best way to exhibit his series. But in the mean time, you can check out 40 great photos over at Places Journal. You can also check out David Mandl's Tumblr.